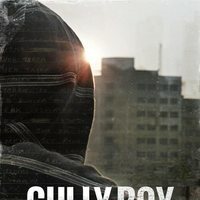 'Gully boy' is a film that tells the story of a 22-year-old muslim boy who lives in a ghetto of Bombay. The protagonist is a rapper and the plot goes on while he tries to release the passion he feels for that musical genre, achieve his dream and undergo unnoticed in his class. Hip-hop is recently in India a great phenomenon and, as in other countries of the world, is growing from the very streets. In fact, it is the only musical genre in which the recent political panorama has a place and gives voice to those who have nothing to lose: the poor colonized. 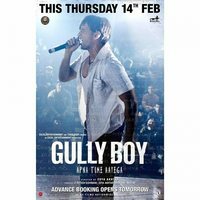 Directed by Zoya Akhtar, 'Gully boy' mixes, as is common in Indian feature films, the music with the plot in a totally organic way. Starring Alia Bhatt and Ranveer Singh. Write your own 'Gully Boy' review. This is the first Bollywood movie to be based on rappers.